Social media has been a necessity for business for quite a while now, so it shouldn’t come as a surprise that you should include it in your marketing plan for 2019. A recent Clutch survey reported that 71% of small businesses are using social media, and another 16% plan on using social media moving forward. There’s a good reason so many businesses put effort into their social media presence. An impressive 75% of marketers say their social media efforts have increased traffic for their business — which makes sense when you consider that one third of Internet users turn to social media networks when looking for a brand or product. It’s clear that social media marketing is effective; the challenge is how to focus on it when budgets are tight and resources are thin. The key to building a strong social media presence for your business is to allocate your resources wisely, by identifying where they’ll make the biggest impact. I’ve seen small businesses succeed with social media marketing, even with limited resources, by honing in on the efforts that will make the most impact on their target market. Here are strategic tips to help your small business make the most of your resources to drive a strong impact through social media this year. You can’t achieve your social media marketing goals if you don’t know how to measure them. This is why, once we have established our clients’ social media goals, we always identify Key Performance Indicators (KPIs) and benchmarks — these enable you to track your progress and measure the results of your social media efforts. You need to know what metrics to look at, how to analyze them, and what to do with the insights you gain from those metrics. What KPIs are important for social media marketing? It all depends on your goals and social platforms. As a starting point, some of the top social media KPIs to look at include reach, community growth, engagement rate, website visits, and conversions. For instance, if one of your goals is to increase engagement, look at the number of likes, shares, and comments that your posts receive. If your goal is to attract more attention to your brand, monitor your number of followers and the number of website visits sourced from social media. If you have existing social media accounts, it’s crucial to identify the right trended benchmarks that represent your brand’s previous efforts and results. This allows you to compare your current metrics to past metrics, to see whether your results are improving. If you’ve had no social media presence before this year, you won’t have trended benchmarks yet — but there are still outside metrics you can reference. Set aspirational benchmarks that reflect the performance of leading brands in your industry, or inspirational ones that reflect the performance of brands whose social media efforts you admire. Whichever benchmarks you choose, make sure they’re closely tied to your KPIs. Benchmarks give you concrete numbers that you can measure your own KPIs against, to continually check on how you’re progressing. This is one of the big secrets to social media success: your business doesn’t need to be actively posting on every network. While it might sound ideal to have a strong presence on every social platform, you’ll spread yourself thin if you try to dedicate time to managing too many channels. Worse than that, putting effort into platforms that your target market rarely uses is like shouting into an empty void. You can’t expect to see a high ROI on your Pinterest efforts if only 10% of your consumers have Pinterest accounts. To optimize your social media resources in 2019, pick a couple of platforms where your customers are most active, and commit to updating those platforms most often. Are your customers most active on Twitter and Facebook? Maybe they’re making elaborate boards on Pinterest or commenting on Instagram photos more often. Set a goal for your posting frequency and monitoring. Establish a timeframe for these efforts, and check back regularly to see what kind of comments and engagement you receive. The reality is, you can’t compete in today’s social media landscape without putting some dollars behind your efforts. If you haven’t stepped into the paid social media world yet, this is the year to do it. Not only does paid social advertising allow you to better target your specific audience, but it also helps you get your small business in front of more eyes than ever before. A common misconception is that in order to make an impact with paid social, you must put a lot of budget towards it. This isn’t necessarily true. I've seen success with clients who are only spending a few hundred dollars per month. The trick is to be strategic about it — carefully select which posts to boost or sponsor, and focus your spend on just one or two high-quality ads. This year, experiment with multiple paid options and see what performs well with your target audience. One easy way to dip your toes into paid social is by trying out boosted posts. This is a simple yet powerful way to put some budget toward an organic post you think will resonate, to get that content in front of more eyes. When you’re choosing an organic post to boost or sponsor, be sure to focus on a post that supports your goals. For instance, if your main goal for social media marketing is to drive leads, it would be best to identify an organic post that promotes your product or service, includes a CTA and drives readers to a resource or form that acquires leads. There are plenty of scalable options when it comes to employing paid social, so don’t be afraid to put a bit of budget towards these efforts. For best results, use paid social and organic social media efforts together to complement each other. Segmenting your audience allows you to personalize the messaging that your consumers see, strengthening the impact of each social media post you publish. As Small Biz Trends suggests, you wouldn’t want to be posting cool vacation photos on an Instagram account if your main audience is busy young moms. Identify what content will engage your followers the most. Most paid options on platforms like Facebook, Instagram, or LinkedIn allow you to directly target different demographics based on a variety of criteria you set — such as age, location, job title, interests, or even specific followed accounts (like your competitors). A successful social media strategy requires you to create personalized experiences for your top customers or influencers. To accomplish this, they must be willing to give you their personal info in return for a personalized experience. If you violate that privacy or mismanage their data – by selling it to another marketer or mailing list, for example – you could not only face legal trouble, but you’ll be breaking customer trust in your brand. Out of all the social media content you post, I generally recommend that only 20% should be about your brand. It may sound counterintuitive; after all, the only reason you’re on social media is to boost your brand, right? Putting your audience’s interests first leads to increased awareness, traffic, and engagement — and although you may wish it were true, your audience interests don’t revolve solely around your brand. Their interests likely overlap with your industry, the benefits of your product or service, and the needs and pain points it addresses. When you tap into these interests, you create better connections with your audience. When you’re building your social media content, follow the 80/20 rule: 80% of your posts should be made up of relevant content that isn’t directly selling your brand or product. Consider incorporating inspirational quotes, interesting retweets or reshared links, and even questions for your audience. If you’re at a loss for what to include in this 80%, look to what your industry competitors are doing as part of their engagement strategy. Which of their posts seem to get the most likes, comments or shares? When you craft social media posts, don’t forget to focus on how they look. On social media, graphics and videos are as important as words (if not more important). If you are posting the same content across your different social channels, remember to adjust the dimensions of your graphics for each platform to optimize your engaging visuals. This year, go beyond static images. Video has become an increasingly important medium in the social media space. Using video increases the feeling of transparency and authenticity — something today’s audiences are craving from brands. Don’t reject the prospect of video just because you feel you can’t afford a video production agency. There are a variety of video capturing programs (and platforms) available for any budget. Got a smartphone? Use it to take some fun footage of what goes on behind the scenes at your company, then embed these videos in your social media feed. In fact, a low-budget video can make your brand look very down-to-earth. Wherever possible, push to invest in video content in 2019 — as a medium, it’s only going to get bigger from here. If you’ve already built out an engaged customer base that’s enthusiastic about your company, why not turn to them to help create some unique content? Your loyal brand advocates are a low-budget, high-value option for providing you with great material that also shows how loyal your fans can be. Brainstorm a few ways you can leverage your audience to craft original content. This could include asking them questions or gathering opinions through surveys (which can then be turned into blog posts and other collateral), asking for testimonials and positive quotes, gathering great use-case stories or photos, and even having contests through social media that encourage your loyal customers to share photos or videos using your product or service. When it comes to social media, slow and steady wins the race. Don't wait any longer to get in the game — make it your 2019 resolution to focus on social media for your small business. Want to track all your social media KPIs in seconds? Get all your data in the same easy-to-use automated report. 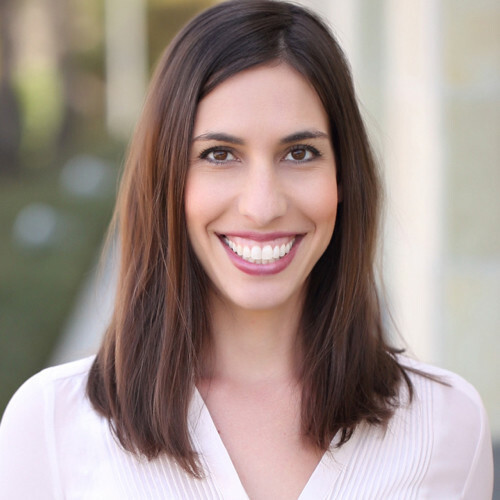 Ilana Plumer is the Senior Director of Marketing at RelationEdge, which provides premium level content marketing services to mid-market businesses. With over 12 years of marketing experience, Plumer builds and oversees holistic content marketing campaigns for her clients. Plumer is committed to integrating content marketing with social media, digital PR, and email marketing to elevate her clients’ brand voices.